Mid-Life Cruising!!! 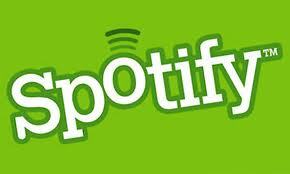 : Spotify - Best Online Radio! Spotify - Best Online Radio! While watching "Clark Howard" the other morning to get the latest money saving tips, Clark mentioned an online radio station that he was really excited about, called "Spotify". He said that this online radio has been around for some time in other countries, and is finally here in the USA! What makes this online radio so great is that you control exactly what you listen to. It's like having a huge music library at your fingertips! You just type in an artist, album, or genre and hit play! You can even create a playlist and share the link with your friends. Of course, I wasted no time checking this out and I have to say that Spotify is awesome! I knew Clark wouldn't dissappoint! No longer do you need an invitation ... anybody can join! Another great product I recently found is Replay Music, which allows you to record music from any online radio or video! To make it even better, you can set Replay to transfer all of your recordings to i-Tunes and/or to your i-pod. I love this! With the two of these products, I'm already working on quite a music library for our sailboat! In fact, here's a link to a Hawaiian playlist I created that will put you in the tropics. Of course, you need to join Spotify first to listen to this. I hope you enjoy it, and check our Facebook page in the future for more playlists. My husband is a fan of Clark Howard. Way cool.